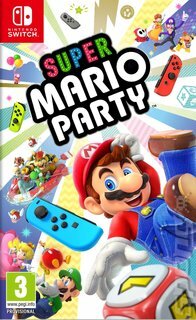 Without a Mario Party game or two you don't really have a Nintendo home console, and so it is that with the release of Super Mario Party the Switch is finally complete. With a raft of characters from Mario's deep bench of pals and enemies you'll traverse a games board, competing for stars and dipping in and out of minigames. Happily (for more competitive players) you're no longer going round in a kart with your fellow players and now roll your own die to progress and try to make it to the end first. There are ways for you to mess up your fellow players, but there are plenty of opportunities for the game to give them bother, too. Alternatively, there's River Survival for when you're done with giving your mates a hard time. You and your crew will use your Joy-con controllers as paddles to try to navigate the river to safety, frantically trying to beat the clock. Diving into a mini-game can buy you precious extra moments on the clock, and communication and cooperation are the order of the day if you want to survive. As ever, Nintendo's success lies in the sweet spot between charming game design and technological innovation. One cool new feature is the inclusion of mini-games that allow you to take the screens from two Switches and (providing both have a copy of Super Mario Party) play games across them both, whether it's a jigsaw or a tank battle! It's about time Mario had a party on the Switch, so grab yourself an invite and get involved!